Crystal System Tetragonal. Crystals commonly tabular with square outline; also pyramidal; massive, granular. Cleavage Distinct 1 direction. Fracture uneven to subconchoidal. Brittle. 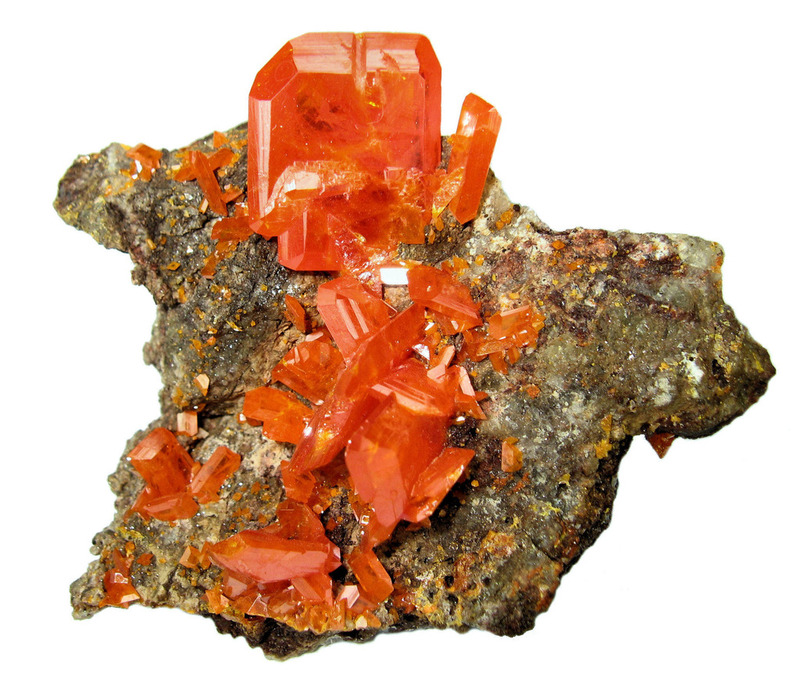 Most wulfenite crystals, especially those from U.S. localities, are too thin for cutting of gemstones. However, an occasional crystal is both thick and transparent enough for faceting. Tsumeb, Namibia, has produced wulfenite crystals several inches across, from which gems up to 50 carats have been faceted. 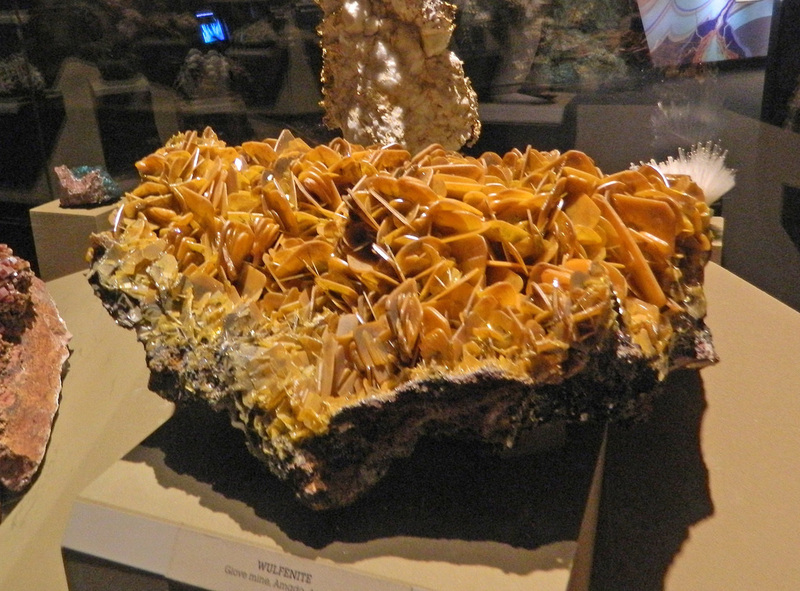 Note: Specimens of wulfenite are magnificent and are greatly prized by collectors. The crystal habit is tabular and the individual crystals are usually very thin, making it difficult to find a suitable cutting fragment. Gems are then difficult to cut because of the softness of the material and its sensitivity to heat and vibration. These characteristics make wulfenite totally unsuited for jewelry, but it makes a spectacular collector gem of great rarity. The red wulfenite is one of the richest colors in nature.